In the beginning, I was terrified of transition. I expected I would lose my career, my home, everything I held dear, end up on the street, and probably still die. But despite that pessimistic expectation, I could simply see no other choice but to go forward with transition. I am delighted to report that transition has not been anything like that; I am thrilled with my life now that I am living authentically as the female I have always been inside. I only wish I had been able to find my way here years ago. In the final months of 2012 I began HRT [hormone replacement therapy], began losing weight, began electrolysis, began collecting a wardrobe (once again), came out to my family, began working on voice training, and began to learn makeup. I started living openly female everywhere but work early in 2013. In mid-2013 I began the long complex process of legally changing my identity to a new name and gender, and came out at work full time in the fall. I chose a new name and left Heather as a pre-transition pseudonym which I will probably still use for some of my writing. I lost a great deal of weight with a much healthier diet, and began more regular exercise habits. I suddenly had a profound desire to live my life. My health is now better than it has been in decades. 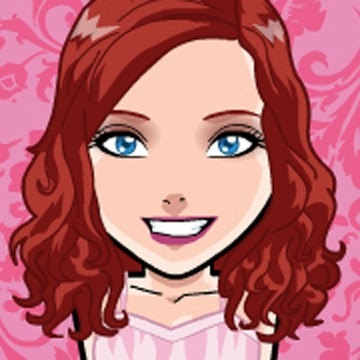 I was able to get rhinoplasty [nose surgery], and after nearly a year and a half of hormones I am now actually able to see a female-self emerging from the façade I’ve hidden in, and been trapped by, all my life. I am also now working on raising the funds to get SRS and breast implants, hopefully late in 2014 or early 2015. Transition has also been like a second puberty for me, arousing profound heterosexual feelings of attraction to men. I am posting this comment, a very brief summary of a much longer and much more complex story (which I’ve written more about elsewhere), in order to explain to those like myself who begin discovering themselves here, that I now realize I have always been a transsexual in denial. I’ve now begun to think of my childhood in terms of “when I was a little girl,” despite that I was deeply in denial and hiding for all those years. I can look back now with hindsight and acknowledge the countless times I knew in my heart that I felt female but couldn’t find a language to express it, or even admit it to myself. I am delighted to report to you that there is life after transition! I have never been happier with myself or my life. To tell you the truth, passing at my age isn’t perfect, strangers often know I am transgender, but I am largely accepted as a woman, or at least a trans woman, without any issues. I have truly not had one bad experience with people mistreating me in the ways I imagined I would experience. I’ve transitioned very publicly to hundreds of people -- friends, family, customers, and co-workers -- and have received hundreds of heart-warming expressions of encouragement and congratulations from many of these people. I have lost some “friends,” and gained many new true friends. 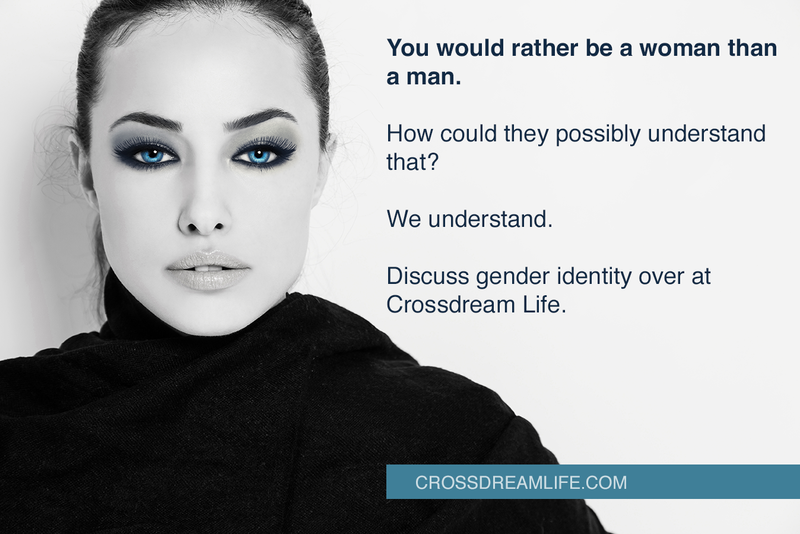 Please understand, I am not saying that everyone who identifies with the AGP/Crossdreamer profile is a transsexual who has been in denial all their life like I have been. What I am saying is that for many of us in my generation, denial and repression became a survival skill. Fortunately young transgender people today are finding it much easier to begin living authentically at a much younger age as our society gradually learns to accept transgender people. It is my fond hope that future generations will never have to suffer as so many of us have for so long. I would hope that if others come to the crossroads in their life that I did, they would not be as terrified of transition as I was. 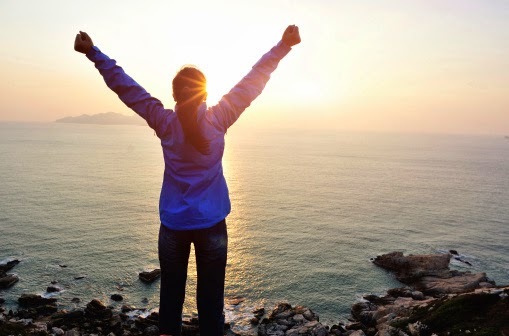 I am also not saying that transition is simple, but if it is the authentic path for your life, as it clearly is for mine, transition is more than possible, your new life can be wonderful! 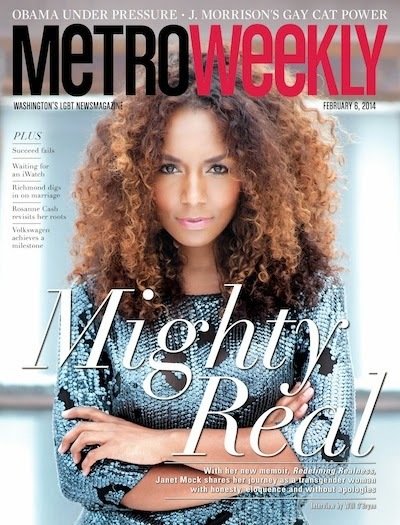 Finally, I want to emphatically encourage everyone with any interest in these issues to read Janet Mock’s new book Redefining Realness , released February 4th, 2014, and reaching 19 on the NY Times Best Seller list in the first week. She is a heroic figure that should encourage transgender people everywhere to live authentic lives, and challenge society to finally begin to understand us, accept us, and welcome us into the human family. I am happy to see that for Heather transition was the way to go. Everyone who is gender conflicted has to have an avenue to explore that leads them to a final destination. Thanks for sharing this story wit all of us. Congratulations Heather! Your courage and resolution have paid off so well. I'm about 2 years behind you. I had also been reading this blog as Jack was the only one approaching it from a psychological point of view. While I don't agree with all of it, he did at least help me start questioning and ultimately dismissing some of the trite science, in particular the Blanchard paper. There have also been some interesting posts on looking at oneself. And I read some of his suggested reading list and links. In particular, Whipping Girl blew me away (at least the male parts of me)!